This year we will battle a typhoon. Today the waves are predicted to be about 4 m. Even now, the water is really choppy. 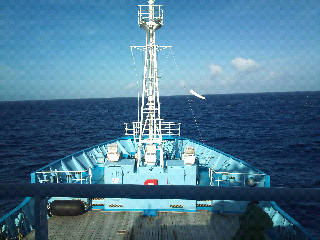 Tomorrow, we hit Iriomote. Might not be able to go to Ishigaki. Perhaps even no fieldwork.